Some time ago I created an Around Carson photo pool on Flickr, and then promptly proceeded to ignore it. 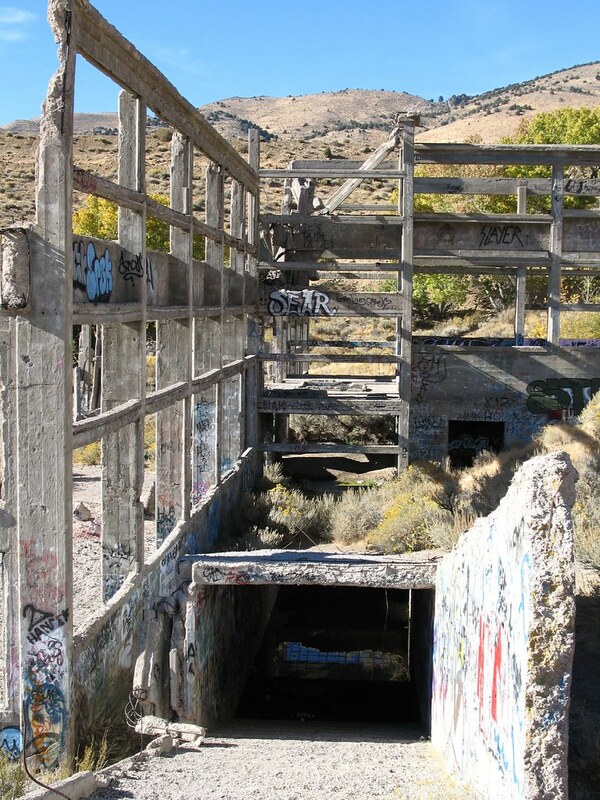 So what a surprise it was to go in and check it out today, and find out that Andrea Daerice Juillerat had posted some awesome pictures of the crumbling ruins at American Flat. American Flat is up on the Comstock, just a couple of miles south of Gold Hill and VC. At one time the town was growing so fast that the residents petitioned the State Legislature to have the Capitol moved there. But when the gold and silver dried up, the town blew away and there’s nothing left of it. 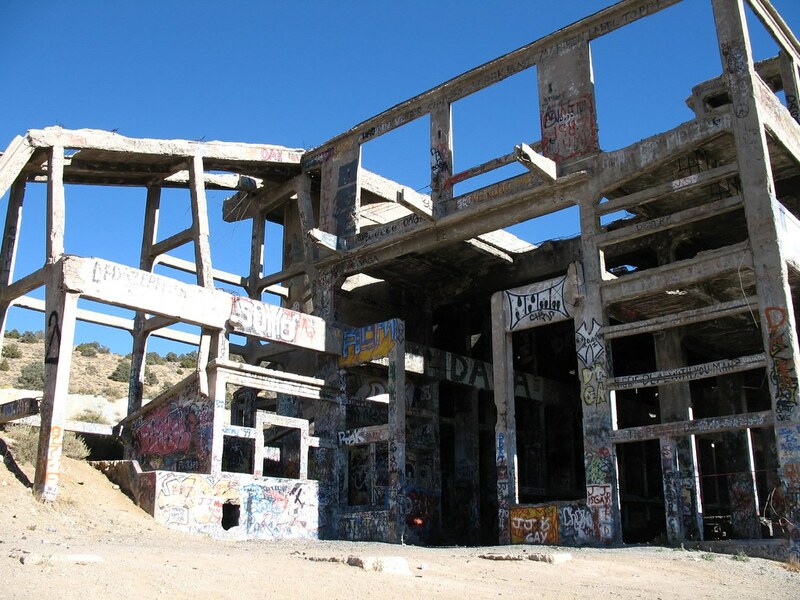 The ruins that are there are what is left of 20th-century cyanide mills that were built to leach trace minerals out of the tailings the old mines had left behind. Obviously it wasn’t profitable. I’ve never been up there, so it’s great to see these pictures. American Flat always had a reputation as a place for kids from VC who had nothing better to do to hang out, drink, and party. The route of the V&T Railroad also passes close by the ruins. 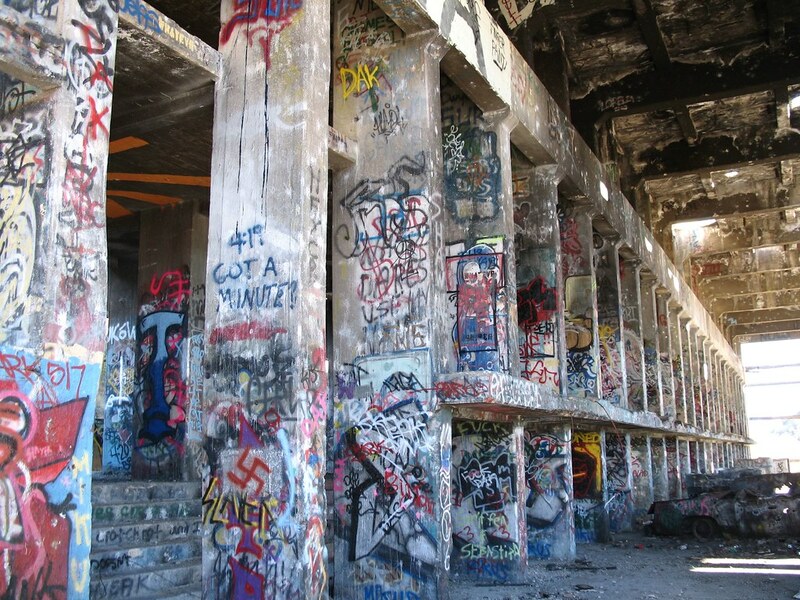 They keep talking about wanting to tear them down because they’re a safety hazard, but nothing has been done yet. Go check out the whole set, 21 pictures in all. Andrea also has photos of Virginia City, Reno, and Tahoe. Is This Henry Comstock? Tommyknockers, Ghosts and Other Legends of the Comstock V&T Progress: Faster Than You Think Dogs, Cars, and Collapsing Mines Timber for the Comstock Hwy 342 to be Moved?